Imagine you are a professional footballer, golfer or athlete. Now imagine you are that professional sportsman or sportswoman but - using no more than the power of your own mind - you can make yourself bigger, faster, more accurate, or able to control your opponent's mind. You would be the world's first superhuman sports star. In the 1970s the US military believed they could create a `super soldier' - one who could use psychic powers to walk through walls, disarm the enemy through telepathy, or kill a goat by staring at it. The brain behind these techniques was Michael Murphy, one of the founders of `New Age' spiritualism in the hippy enclaves of San Francisco. But Murphy's primary goal was to use these powers in sport to create a supreme athlete capable of extraordinary feats. Murphy and his proteges have dedicated their lives to teaching athletes and coaches to use his methods. Locking runners in huts to make them believe they were dead saints, spies using mind control to win chess matches, Russian Olympians `shape shifting', and golfers imagining they were Darth Vader - coaches and athletes soon began to trust in very weird things. So weird, in fact, that sport's burgeoning obsession with money and image meant the hippies went underground and the superhuman powers became mythical. But the trailblazers - now more hip-replacement than hippy - are making a comeback, influencing some of the world's top teams. 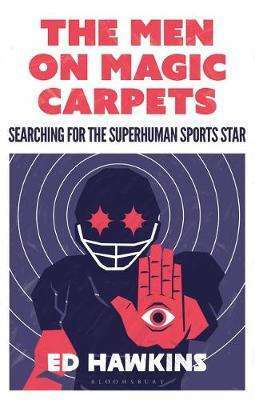 Award-winning investigative journalist Ed Hawkins meets Murphy and his proteges as well as a cast of athletes and coaches convinced by their methods as he immerses himself in a world shrouded in secrecy and weirdness. In a simultaneously hilarious and unsettling tale, he experiences first-hand the techniques as he endeavours to reveal the truth about sports psychology. Is it really possible to enter a mind-altering state or to shift your body shape? Or is it all just bunkum? And are the American military still watching?